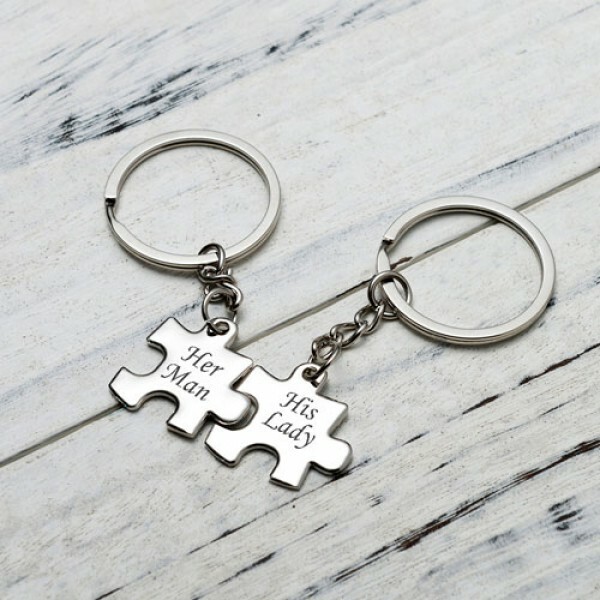 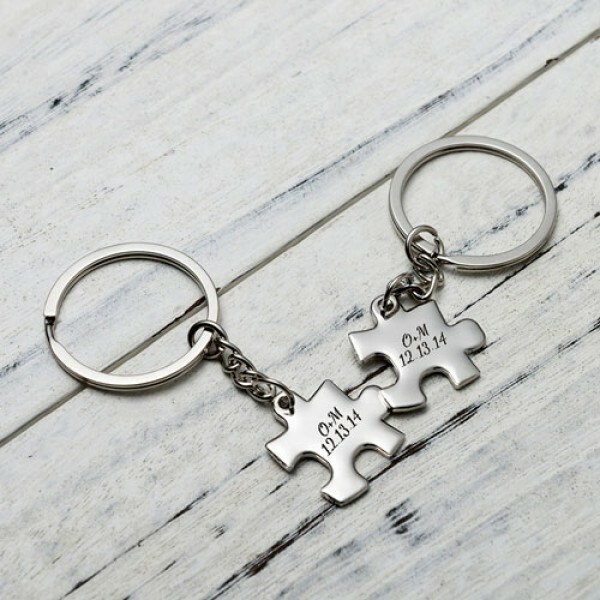 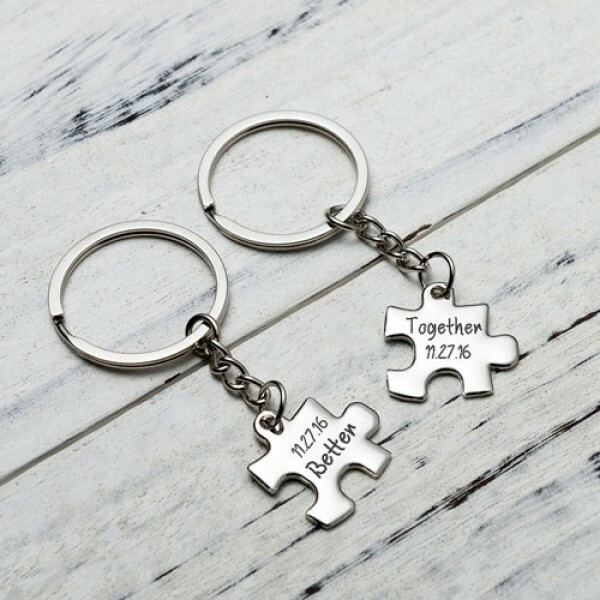 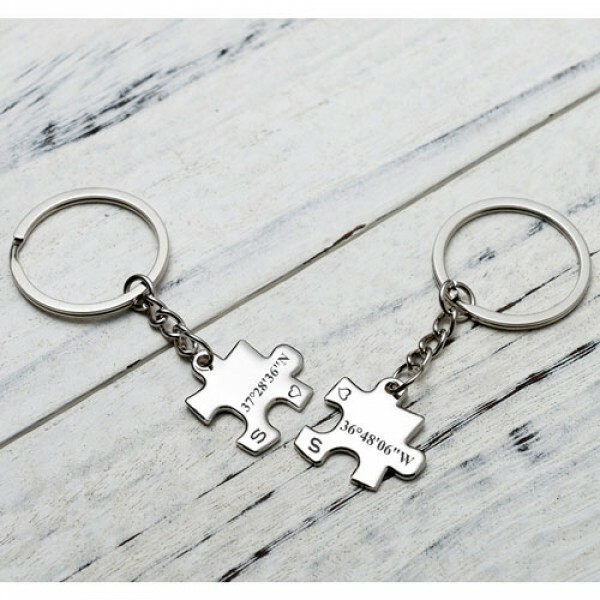 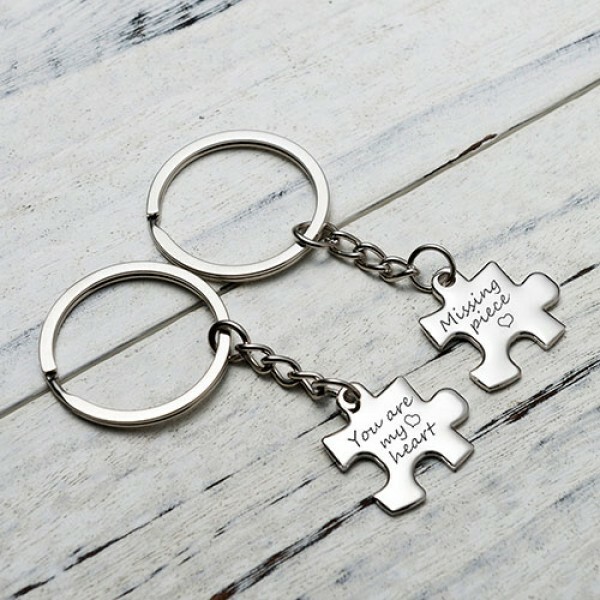 stainless steel puzzle pieces (1" x 1 1/2") are engraved with names, ate and heart or a anything you want. Please leave information to engraved in the notes at checkout. 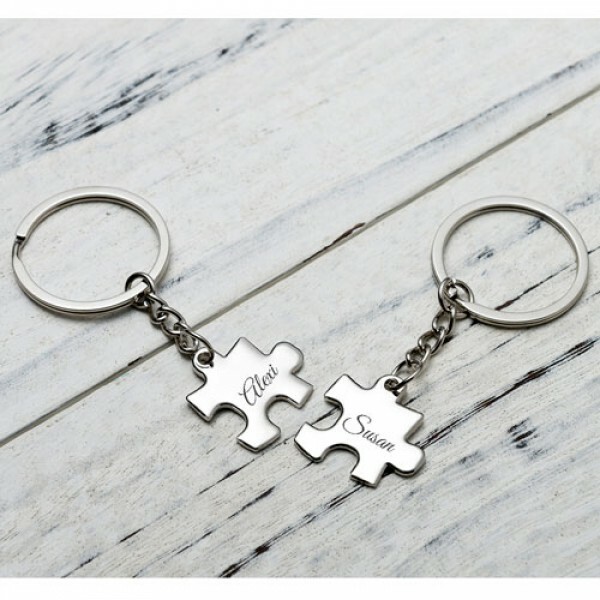 Question about Custom Keychain is Successfully Submitted.